Last year, on Polish Independence Day, 11 November, tens of thousands of people marched through the centre of Warsaw shouting "Pride, national pride" and "Hit the red scum with a hammer and sickle". Young couples with children walked shoulder to shoulder with football hooligans, all wearing red-and-white scarves, the colours of the Polish flag. Soon the families disappeared and the demonstrators clashed with the police. They burnt down the Warsaw Rainbow, an artistic installation meant to symbolise tolerance, as well as a sentry box outside the Russian embassy. A small group raided a squat inhabited by anarchists and beat them up. "We want to gain power so that the Polish nation can survive biologically, demographically, culturally. So that Poles can exist and so that Poles can be Poles," said Robert Winnicki, the leader of far-right National Movement, which organised the march. He openly declares himself homophobic, but shrugs when asked whether he is anti-Semitic: "Everyone is labelled anti-Semite, if he dares to criticize Jews." The National Movement is co-operating with Hungary's xenophobic party Jobbik, which itself has around 17 percent in the polls. 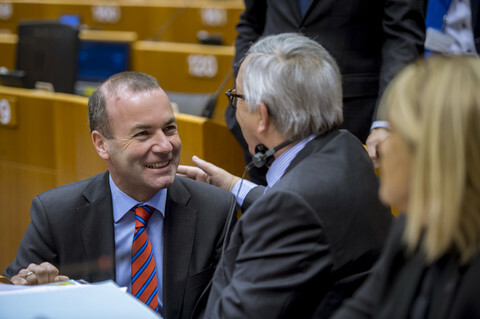 The two parties plan to exchange candidates in the European elections. A Hungarian nationalist is to be included on the National Movement's lists and vice versa. However, Winnicki's movement is not only far from gaining power in Poland, it also lacks any real influence. A recent poll showed it had no support. It is a paradox that leaders who can gather a crowd in Warsaw every November are non-existent in the polls. In theory, there is a space for extreme movements in Poland, especially on the right. According to sociological research, around 20 percent of Poles hold nationalist views. 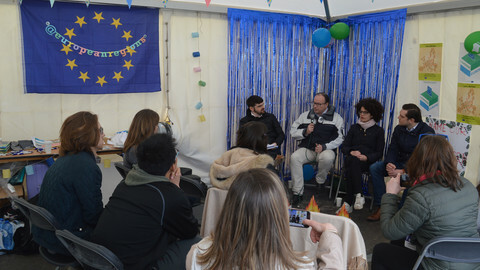 Moreover, the European elections provide a good opportunity for the emergence of new movements. The turnout is very low (around 20-25%), so 400,000 votes is enough to make the electoral threshold and get into the European Parliament. But the National Movement is not even close to getting that level of support. First of all, far-right voters are not a politically homogeneous group. No more than a small percentage of Poles oppose democracy, dislike the European Union, and accept authoritarian rule and xenophobia – all at the same time. Meanwhile, right-wing voters have a party to vote for in the form of Law and Justice (PiS). This is the party of former prime minister Jaroslaw Kaczynski’s and of his twin brother, the late Lech Kaczynski, former president of Poland, who died in a plane crash in 2010 in Smolensk. PiS is on the margins of the European political mainstream, but it is more like the ruling Fidesz party of Hungary's Viktor Orban than Jobbik. It is mildly nationalist and is against the introduction of the euro, but does not openly oppose the EU and cannot be called xenophobic. 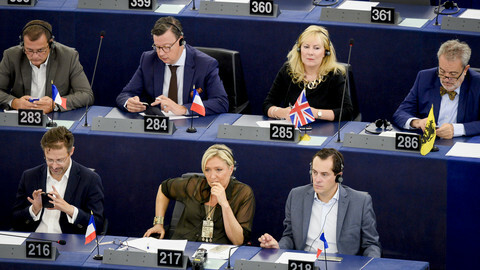 In the European Parliament, PiS is in the same political family as the British Conservatives. The small remaining right-wing electorate is targeted by other marginal parties, of which the National Movement is just one. The others are Solidarna Polska, the grouping of Zbigniew Ziobro, a former minister of justice in the PiS government, who recently became more radical; and New Right, which represents an exotic mixture of nationalism and economic libertarianism. The rivalry between them is set to lead to further fragmentation on the right. Support for the nationalists also remains low because they do not have sufficient political fuel. 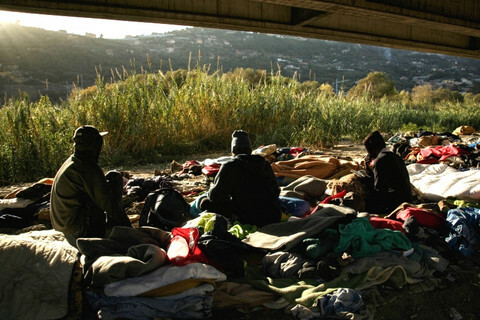 In western Europe, most far-right parties feed on anti-immigration sentiment. In southern Europe, they gained popularity during the financial crisis. In the eastern part of the continent - in Hungary, the Czech Republic and Slovakia - they draw on anti-Roma sentiment. These countries have significant Roma minorities - up to 10 percent of the total population. In Poland, however, immigration is very small scale, mainly from Ukraine and other former Soviet Union countries and the popular mood is still supportive towards migrant workers from the east. Meanwhile, the Roma minority is tiny (15,000-60,000 people, according to different estimates); and the economy sailed through the crisis years in relatively good shape. This year, it is expected to grow by 3 percent. The EU remains very popular in Poland with support at over 80 percent among citizens. Moreover, far-right parties lack funds and party structures, as well as recognisable leaders. The November riots have not improved their image either. All these factors mean that they will probably do poorly in the European vote. Despite the difficulties faced by the nationalists, the European elections in Poland will still be interesting. 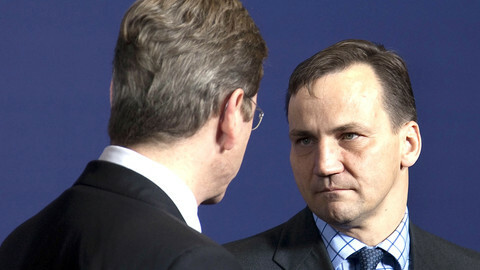 Prime Minister Donald Tusk's centre-right Civic Platform, which is scoring 20 percent in the polls, could lose to PiS. That would make it the first election it has lost since 2005. Support for Tusk’s party is falling because of rising unemployment, which is currently at 13-14 percent, more than it was in 2009 at the height of the financial crisis. If this negative trend continues in local elections this autumn, it could lead to the Civic Platform losing power after the 2015 parliamentary elections. Recent polls suggest that PiS will be the favourite in May, and could scoop 25 percent of the vote. The party wants to show that it is the "only real alternative" to Tusk in Poland. As there is no clear coalition partner for PiS, Kaczynski's party is hoping to win a majority in parliament in 2015, which would enable it to form a government on its own. The European elections will also provide an opportunity for the rebirth of the Polish left. After losing the elections 10 years ago amid corruption scandals, the left failed to regain support. Since 2004, left-wing parties have never exceeded 12 percent of the vote, and the political scene has been dominated by centre-right and right-wing parties. On the left of the political spectrum, the European election will be a duel between two parties, each of which currently has around 10-11 percent support. 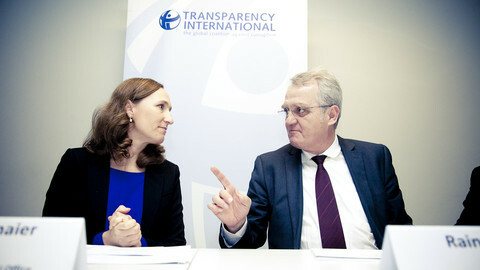 On the one hand there is the SLD (Democratic Left Alliance), led by Leszek Miller, a former prime minister. This is the more leftist party, partly fuelled by nostalgia for the Communist past. On the other hand there is Your Move (Twoj Ruch), led by businessman Janusz Palikot, which targets younger and more liberal voters. If one of these parties loses significantly, it may not survive. But the winner will hold a monopoly on Poland's left for the years ahead. Polish voters will elect 51 MEPs to the 751-strong European Parliament on 25 May. An anti-European, economically liberal and socially extremely conservative party is polling to scoop up to three of Poland's seats in the EU elections.